Long gone are the days of sharing links to external pages as part of your Facebook content strategy. Facebook wants content that lives on Facebook. So how do you go beyond the status update or sharing a picture? We’ve got some ideas. But first, if you haven’t heard about the Facebook algorithm change, brush up on it here. Native content is media that lives specifically within a platform. It doesn’t lead the user off the their current page; they interact with the content within that platform. In the case of Facebook, native content would be videos uploaded directly to Facebook, not linked from YouTube. Or canvas ads that serve as a mini-mobile website experience. What kind of native content should I be creating? Focus on creating content that feels natural to the platform and your brand. Natural means it’s not loud, obnoxious or obviously an ad. It’s useful or engaging or both. But it also has scroll-stopping power. Users that interact with your brand in an organic, non-intrusive way are more likely to become a follower and a customer. Focus on mobile-first native content. Over 95% of Facebook users are accessing the social site via smartphones. 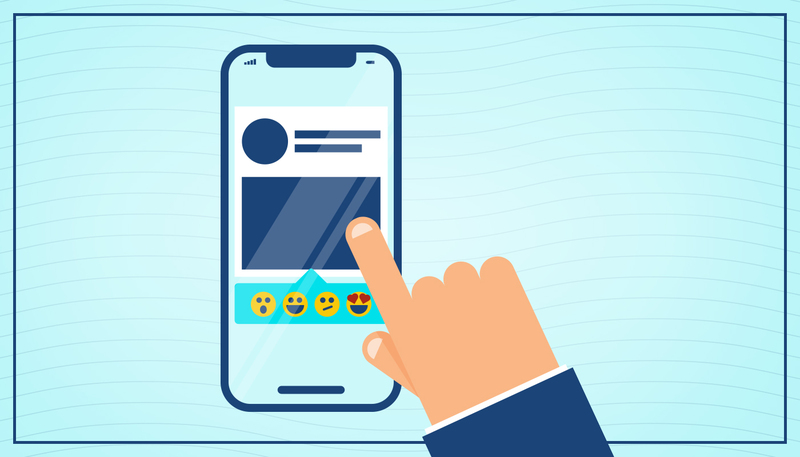 When your content is made for mobile, users can quickly complete a call-to-action with measurable results, such as a phone call, click to your website or download of your app. Facebook’s algorithm favors native video. Give yourself even more of an edge by shooting and editing video on your phone and uploading it directly to Facebook. It sounds scary, but a VR experience is doable for any brand. For example, a 360 photo experience is high-engagement content that allows users to experience a scenario relevant to your brand. On your mobile phone, 1) open your Facebook app, 2) go to the page you want the content to be featured on, 3) click in your status box, 4) scroll down to the bottom and click 360 photo, 5) pan the scene you want and 5) upload! Think of canvas ads as a mini website experience that can focus on an event, new product launch, brand experience or article. Canvas ads are easy to make and you can integrate a mix of content types all on the same canvas: photos, videos, maps, text and carousel. Confused? You can play around with them here. Are you in eCommerce? Well then, canvas ads are your best friend. Users can scroll through your new boot collection directly on Facebook, and then jump to your website to purchase. Canvas ads give you the opportunity to add any link and a wide range of calls to action. Be sure to use high-quality video and photos to give your audience a reason to keep exploring. Also note that canvas ads only work on mobile and are paid advertisements. Instant Articles are a great way to repurpose blog content. Facebook Instant Articles (IA) allow your content to live on Facebook, making Facebook happy. Work with your developers and/or digital team to configure these. There’s a plugin you can use with WordPress to serve your content to Facebook or you can connect Facebook with an RSS feed. Plus, you can sell ads and earn revenue within Facebook IAs. Here is a great article to get you started. You don’t have to do every one of these tactics. A/B test a few types of native content and find out what makes your audience respond. Then, optimize to improve ad performance. With all of this content diversification, be sure to crack down on targeting. Location, device, look alike and custom audiences are all targeting aspects to consider when distributing your content. Make sure you’re serving the right people. Now you’ve got yourself a whole new library of content types to play with. Let’s see what you can do. Need a hand? We can help. Previous post: Facebook’s Algorithm Changed. Here’s What Marketers Need to Know.